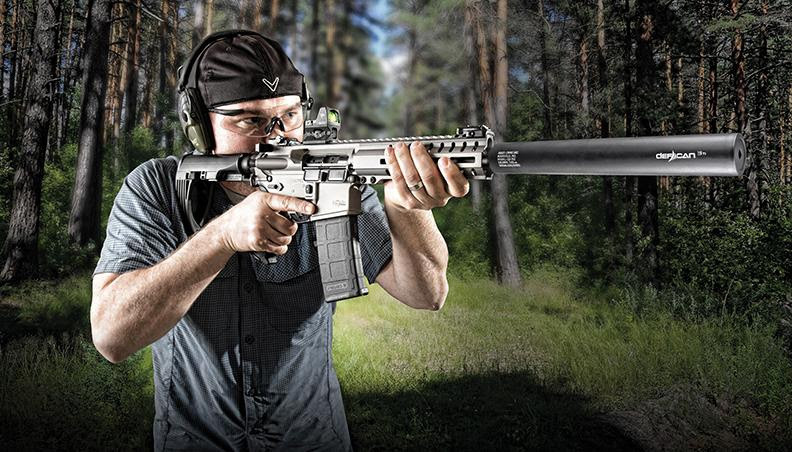 CMMG has introduced its all-new DefCan suppressor line. With the addition of the DefCan suppressor line, CMMG now offers its customers the ability to quiet their firearms down to a safer, more comfortable sound level. Pairing a firearm with a DefCan suppressor not only makes that next trip to the range more enjoyable, it also makes it possible for hunters to be out in the field without traditional hearing protection and not risk long-term hearing damage at the expense of trying to listen for the sounds of animals. CMMG’s DefCan suppressor line has a wide-range of offerings that will meet the needs of shooters from a variety of disciplines, ranging from personal defense, to the long-range shooters, to hunters. 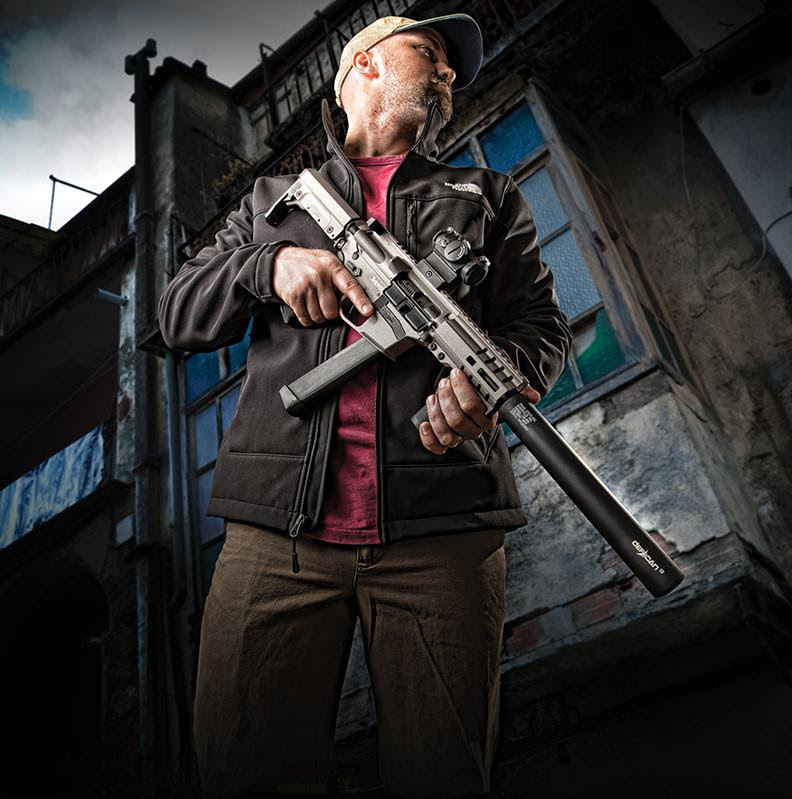 DefCan suppressors are not only optimized for decibel reduction, but are also lightweight, durable and being offered at an affordable price point. “DefCan is an exciting new step for CMMG. Combined with our new line of BANSHEE SBRs, DefCan suppressors will give us a strong presence in the NFA market. Additionally, the DefCan suppressor line complements our current firearm product line-up very well and will be an integral part of our plans going forward,” said Chris Reinkemeyer, CEO at CMMG. DefCan suppressors will be on sale immediately and can be purchased through Silencer Shop. The DefCan 3Ti is a lightweight, full-auto rated 7.62 suppressor that delivers an impressive 32 dB sound reduction to quiet one’s rifle to a comfortable sound level. Its rugged, all-titanium construction delivers weight savings, durability and heat tolerance that allow the DefCan to be the workhorse suppressor for any 30-caliber rifle. Available in either direct thread or quick detach configuration, the DefCan 3Ti is the perfect choice for any bolt gun or semi-auto rifle and is backed by CMMG’s Lifetime Guarantee. The DefCan 2Ti a full-auto rated 5.56 suppressor that offers 32 dB of sound reduction to quiet one’s rifle to a comfortable sound level. The blast baffle is made of Inconel while the rest of the can is constructed of titanium, making the DefCan 2Ti both lightweight and extremely durable. It is available in either a Bi-Lock QD or Direct Thread configuration and is backed by CMMG’s Lifetime Guarantee. The DefCan 9 is the ultimate full-auto rated 9mm rifle suppressor. 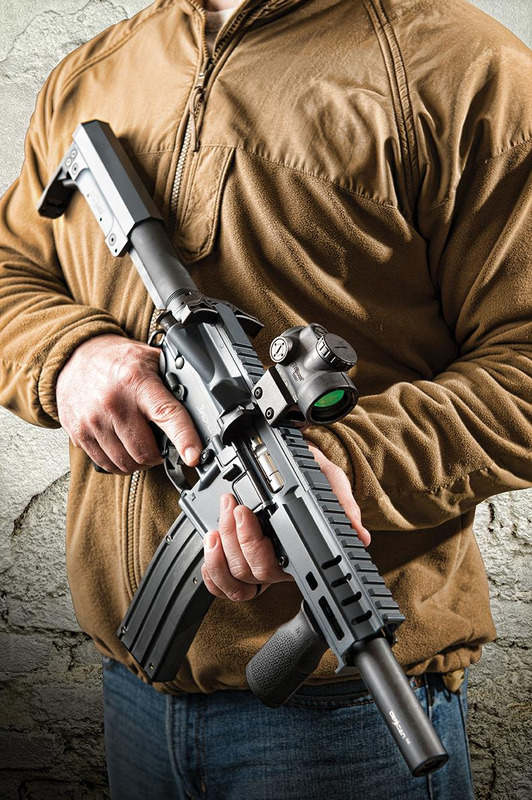 It’s available in Bi-Lock QD (either in ½-28 or ½-36) making it compatible with most 9mm rifles on the market, including CMMG’s MkGs GUARD and BANSHEE platforms. It’s made of 7075 Aluminum and lowers sound by 32 dB to make your rifle hearing safe. When used with subsonic ammunition, the DefCan 9 practically renders your rifle backyard quiet. Coming in at an MSRP of $699.95, this is an incredible value and is one of the more affordable 9mm sub-gun cans on the market. The DefCan 9 is a sealed can that requires no maintenance or cleaning and is backed by CMMG’s Lifetime Guarantee. The DefCan 45 is a full-auto rated suppressor designed for rifles chambered in .45 ACP. Featuring 32 dBs of sound reduction, the DefCan 45 is a perfect complement to CMMG’s MkG GUARD and BANSHEE platforms. It’s built from 7075 Aluminum and has a Hard Coat Anodized finish. A Bi-Lock QD mounting system makes attaching and removing the suppressor incredibly easily. The DefCan 45 is backed by CMMG’s Lifetime Guarantee.